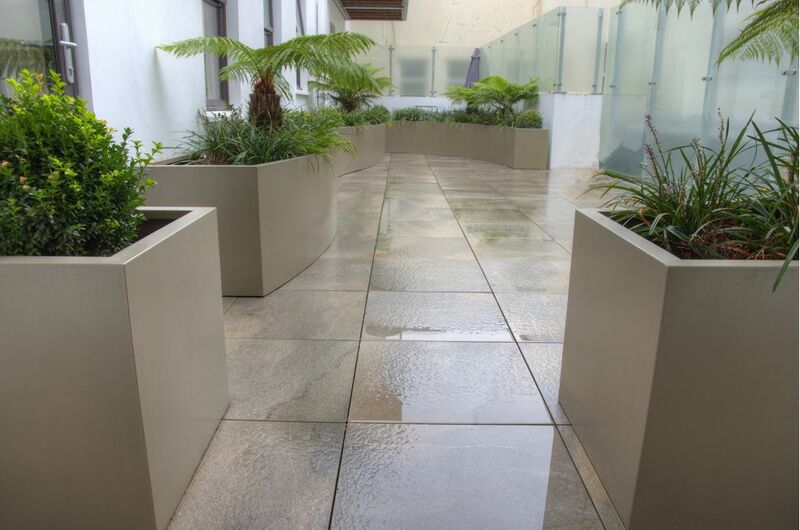 Bespoke steel planters were commissioned for 63 The Bath House: the residential redevelopment of the former Royal Bank of Scotland offshore offices and vaults in St Helier, Jersey. 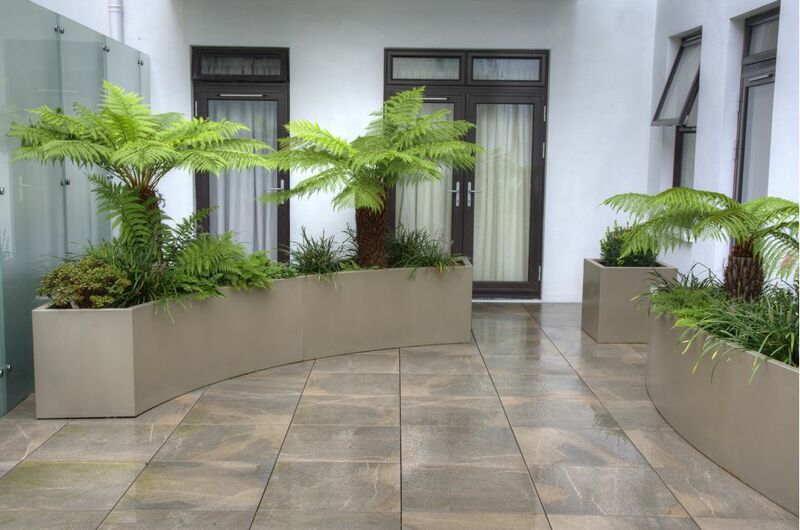 A total of 7 planters were supplied, in a variety of complex, ‘sinuous’ forms. 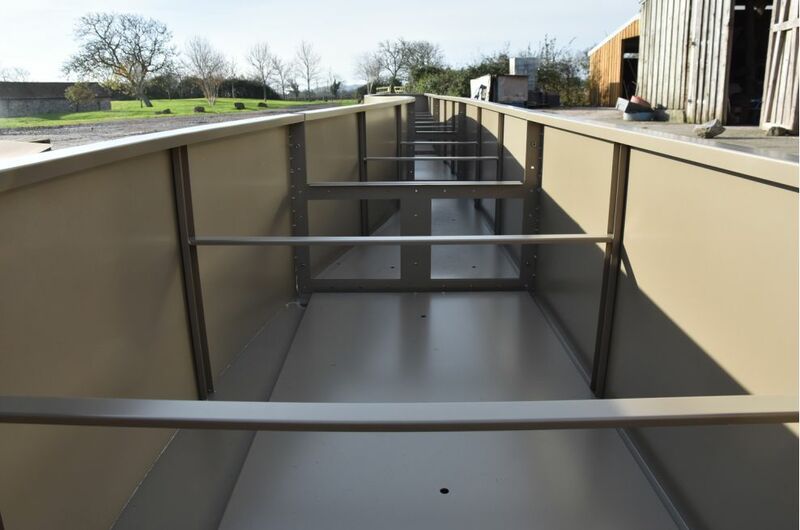 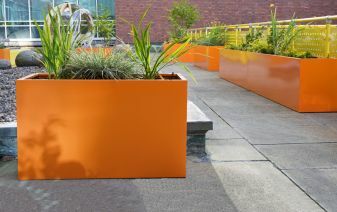 The longest planters were manufactured in sections; to be joined on-site below the soil level, so that the surface planting appears visually continuous. 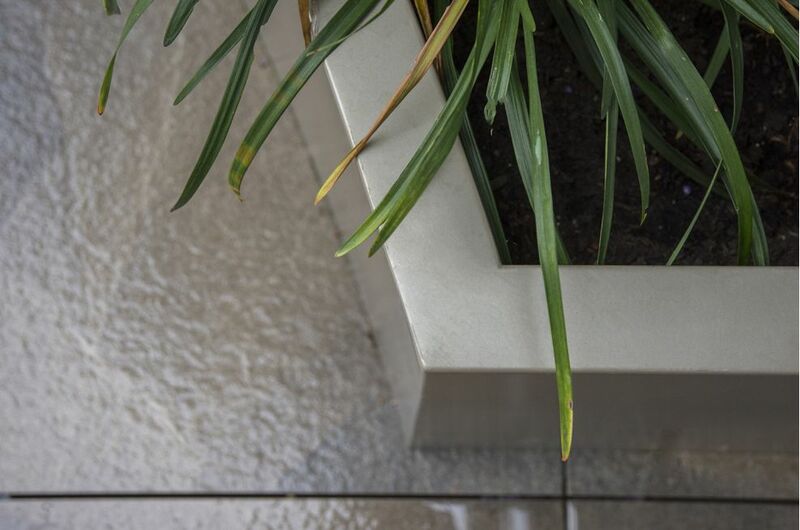 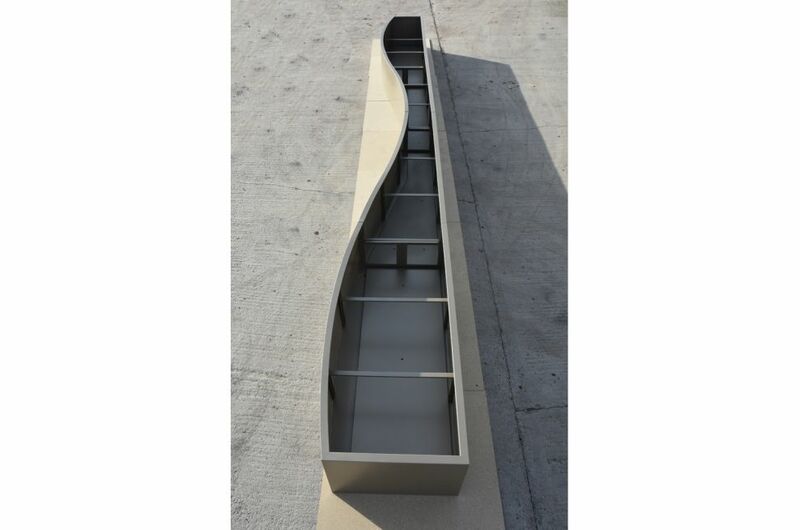 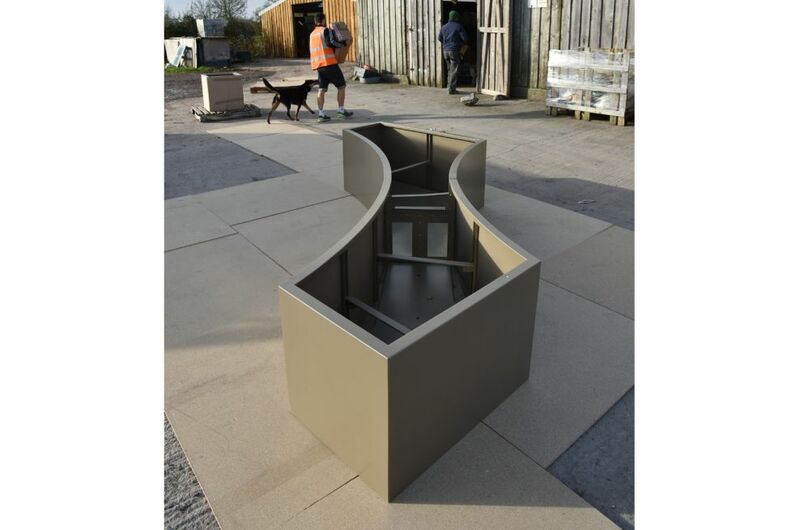 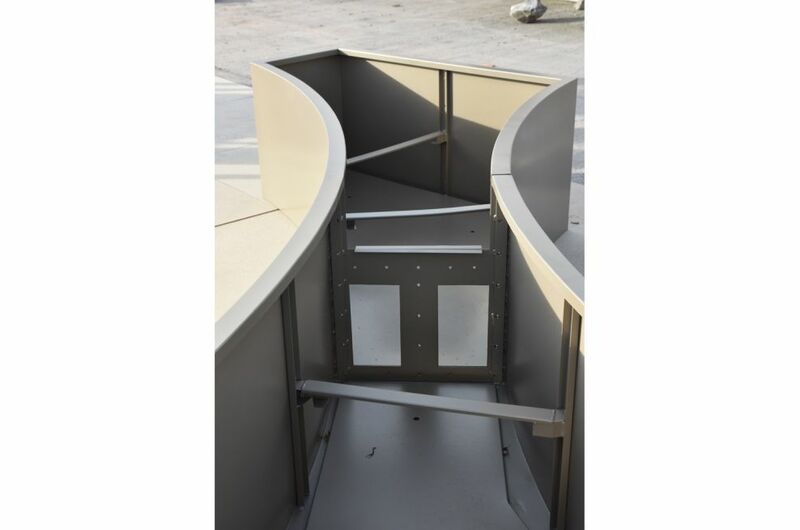 All planters were manufactured from 1.5mm thick Zintec Steel, polyester powder coated to RAL 1035 [Pearl beige]. 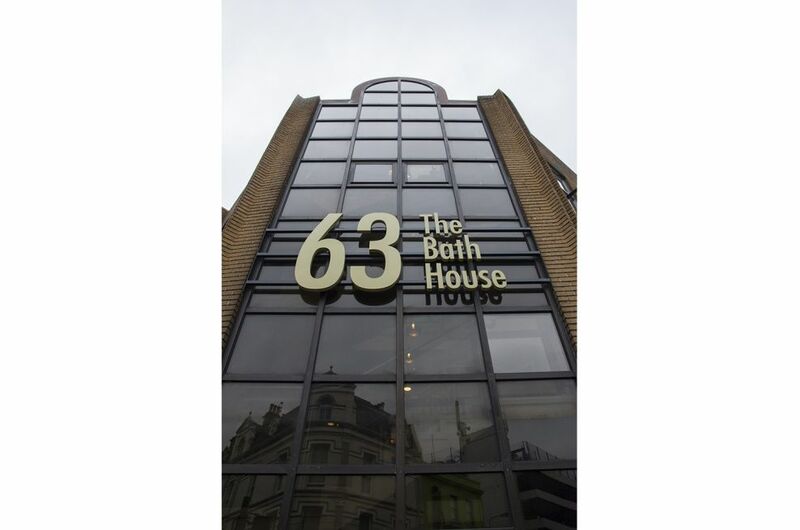 63 The Bath House was originally home to St Helier’s Public Baths, and latterly the Royal Bank of Scotland offshore offices and vaults in Jersey; and has been converted into 15nr. 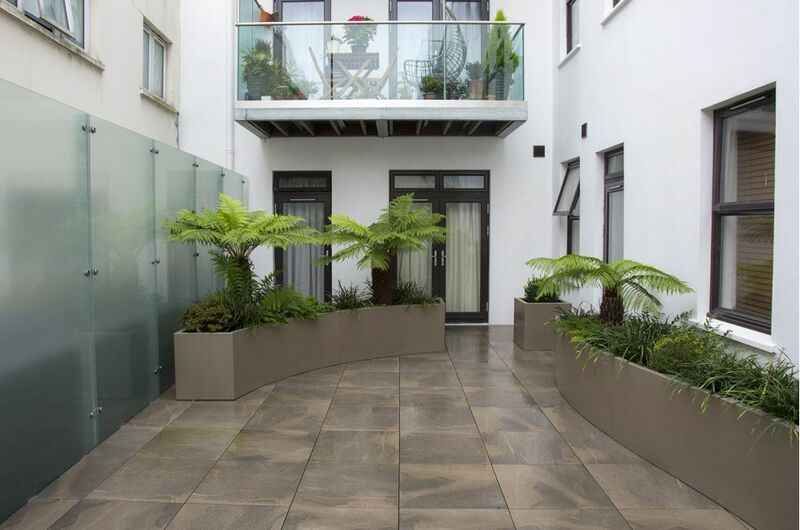 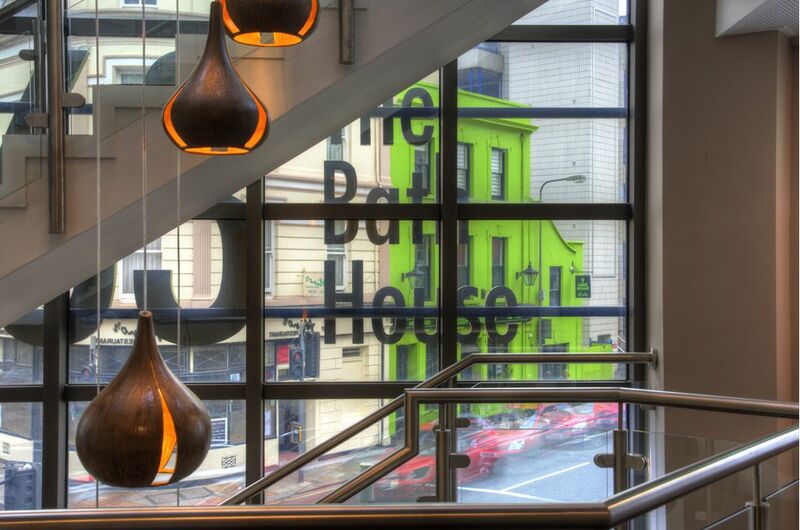 one and two bedroom apartments set over three floors, above a ground floor retail space. 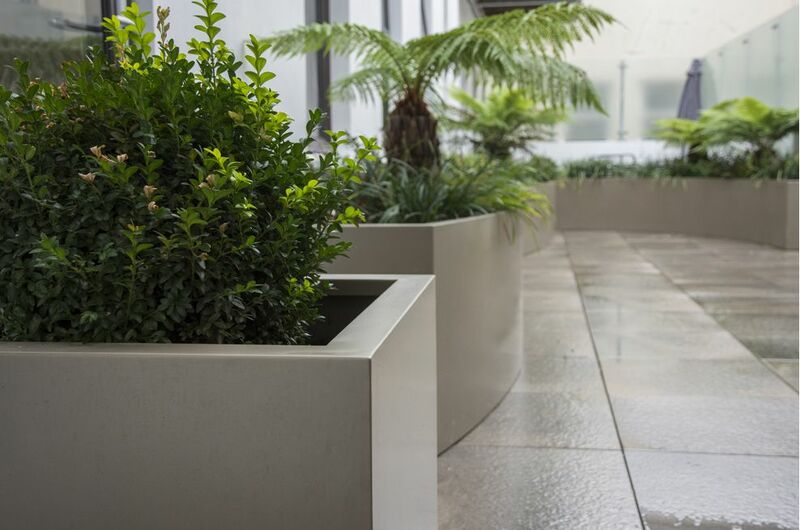 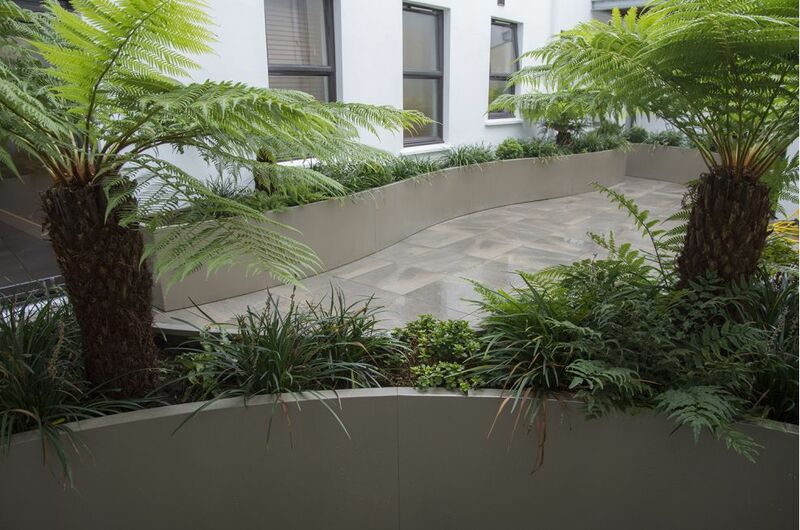 The essential planter concept and design was by Waddington Landscape, with design detailing by IOTA; and the planters were commissioned by the developers Palladium Group. 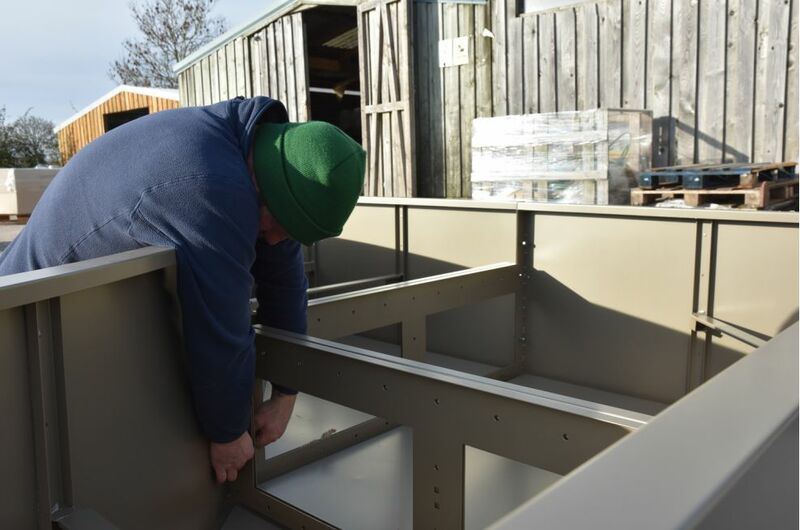 IOTA’s delivery was on the basis of design, manufacture and supply.